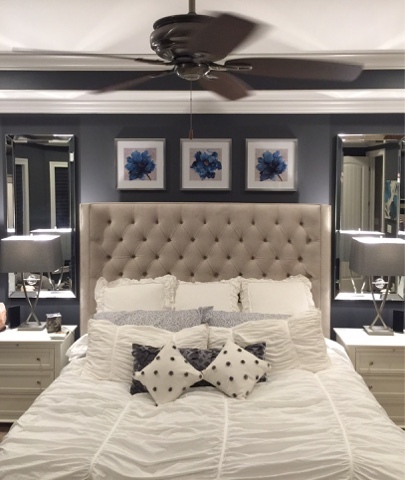 Cheri Quite Contrary: Finished Master Bedroom Photos!! I am so happy- hubby surprised me by hanging everything while I was out of the house. Love you Honey!! Paint- Sherwin Williams Peppercorn (dark blue/gray. Only took us 4 years of living in the house but we finally got it together and I am SO happy. We also ended up buying a Tempur-pedic Contour Rhapsody Breeze Adjustable Bed - we have a Split King option so we can each recline or lower to our hearts content and I have to say - happiest purchase in a long time. We were worried about it being too "hot" but the new manufacturing keeps it very cool (I cannot be hot or I cannot sleep) and this is just like a regular bed temperature-wise except it so BEYOND comfortable and I highly recommend it for anyone with pain issues. Your bedroom is just beautiful! I found you on the Kelly's Korner linkup. I had heard that Tempurpedic and remedied that "being hot" situation. I slept on one at my son's house when I visited, and thought "I was gonna die!" I have to pay you a compliment, too -- you are very pretty! 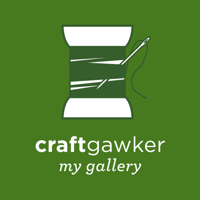 My blog is Scribbler Unfocused, and I would love for you to visit me, too, sometime. I'm visiting from the blog hop and love your room!!!! 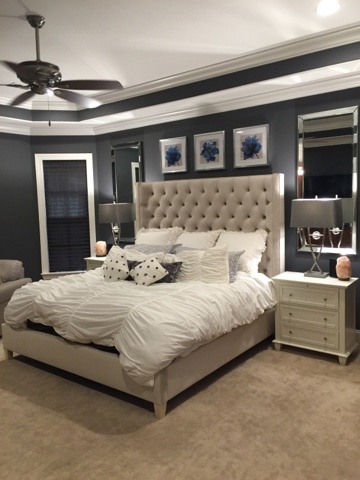 Love your bedroom...would you mind sharing where you found the headboard? I am in search of one like this! Congratulations on finishing your bedroom. It is beautiful! 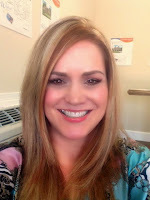 I'm 51, mom to 2 adult boys, 29 and 25 and married for 30 years now. Time flies! For more info, see my About Me Button at the top of the page. Thanks for visiting! Search This Blog - Have fun! Comparing Paint Colors Between Companies? Happy New OHMYLANTA YOU’RE BACK? !